Laqipum has married Chatala, daughter of Enishru. Laqipum may not marry another woman except one in the capital. If within two years Chatala does not give birth to an offspring, she herself will provide a female-servant, and even after a child is born, she will have her servant under her control (Literally: "she can sell her whenever she wants"). Should Laqipum choose to divorce Chatala, he must pay five minas of silver and should Chatala divorce him, she must pay him five minas of silver. Can you imagine? This is an almost 4 thousand years old marriage contract! It was discovered ninety years ago by a Czech orientalist Bedřich Hrozný in the ancient city of Kaneš (now known as Kültepe in Central Turkey). The cuneiform tablet with this contract is kept by my alma mater Charles University in Prague. But a marriage contract by itself would not be that special, a number of similar contracts survived. What makes this ancient document really interesting is the highlighted paragraph. To my best knowledge this contract is the first documented surrogacy arrangement in history and it predates by many centuries similar practices known from the Hebrew Bible. 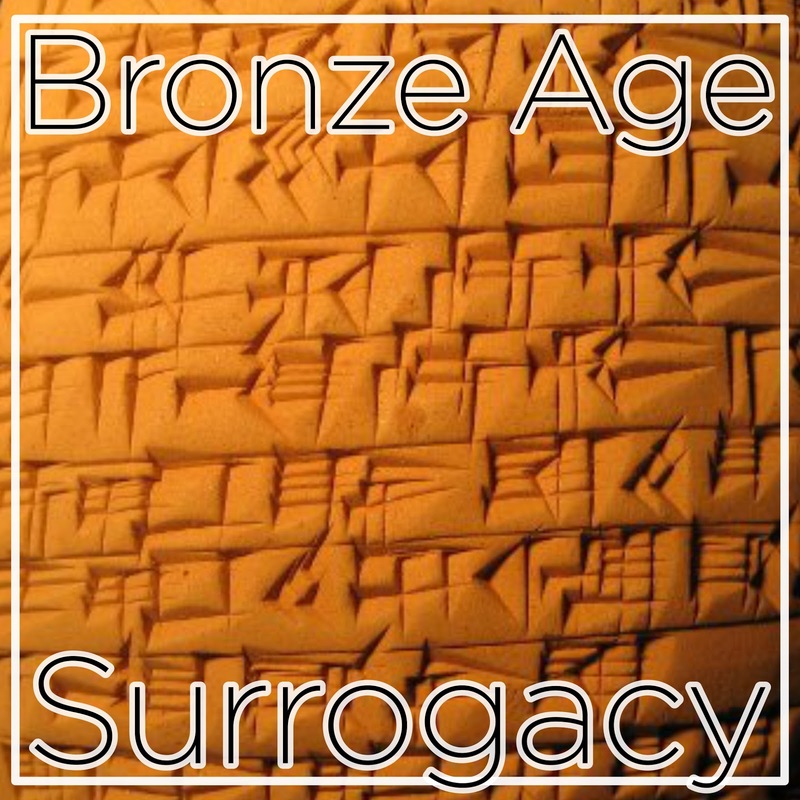 The ancient surrogacy arrangements as well as the similarly old adoption documents and adoption laws (like the Code of Hammurabi) attest to our species’ deep-seated, primeval longing for offspring. 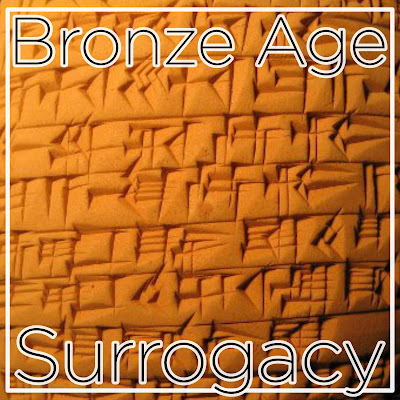 It might be also of interest that the oldest surviving examples of surrogacy and adoption are of a legal nature. Clearly from the earliest times people were aware of the substantial emotional load and recognized an urgent need for clear rational rules. Yet even the best rules do not release us from moral and religious responsibilities, as biblical testimony attests many times over. Come this Sunday to talk about some of the deepest life instincts, about their challenges and joys. Come to celebrate adoption, surrogacy and families in all their different forms and shapes as we mark Family Equality Day. In Sunday worship I will preach about biblical matriarchs and patriarchs and what we can learn from them. In the afternoon we invited several guests to share with us the challenges and joys of adoption and surrogacy in our modern times and our diverse families. This Sunday we will celebrate the Earth Day. And we will do it by lifting up and back to life an image of the Tree of Life. You probably remember it from the opening chapters of the Bible. But it is present in the Bible from the Genesis to the Revelation. And it is something which our faith shares with the oldest civilizations. In some of the earliest records we can find depictions of the Tree of Life. a tree which brings fruit reliably month after month. Some branches are blooming, some developing fruits, some fruits are already ripe. It is a tree whose leaves provide medicines for every illness. Humans as well as animals reach for their healing properties. Indeed it is a tree which brings harmony into the conflicted nature. a tree whose cooling shade invites and shelters everyone. a tree under which a baby can pull a black mamba by its tail. It is a tree which can be cut down and yet it will springs up back. Ancient and medieval theologians and artists were fascinated by this image. Unfortunately, modern people generally neglected it. They did not know what to do with it. It looks so mythical, so foreign, so unreal, so dream-like, so impractical. But all these characteristics are its best and most powerful properties! Only if we open our eyes for the impossible, it might become possible. we have to aspire for harmony beyond our current reach. God planted the Tree of Life into human minds for a very good reason. Join us this Sunday for the Earth Day worship celebration. 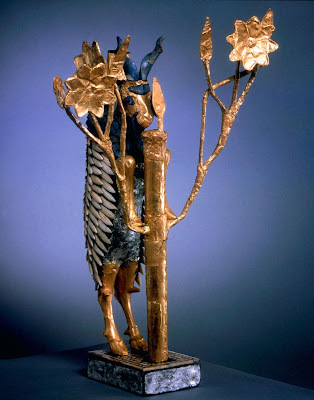 Help us to bring back to life this powerful archetype of the Tree of Life. a sculpture from the ancient city Ur dated circa to 2500 BCE.